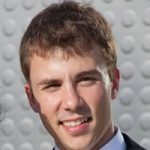 Bio: Miguel González-Fierro is a Data Scientist at Microsoft UK, where his job consists of helping customers leverage their processes using Big Data and Machine Learning. Previously, he was CEO and founder of Samsamia Technologies, a company that created a visual search engine for fashion items allowing users to find products using images instead of words, and founder of the Robotics Society of Universidad Carlos III, which developed different projects related to UAVs, mobile robots, small humanoids competitions, and 3D printers. Miguel also worked as a robotics scientist at Universidad Carlos III of Madrid and King’s College London, where his research focused on learning from demonstration, reinforcement learning, computer vision, and dynamic control of humanoid robots. He holds a BSc and MSc in Electrical Engineering and an MSc and PhD in robotics.